Today was a really busy but good day. I got lots done and the Pictage booth was incredible and I know Shyla will have some fun pictures to show from that. 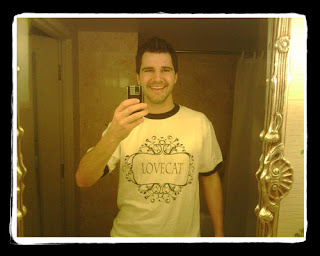 Aimee Cooper from OSP is such a doll and she heard that I wanted a "Lovecat" shirt so she made me one...and made a really funny Vegas - OSP shirt for herself! from Fongs place and came back to go to sleep but for some reason couldn't sleep. I have a lot on my mind with everything so I think it makes it hard to sleep. ryan and i have a surprise for you. but you will have to drive your mom's little red SUV over to hear it. ha. make sure the carlisles have fun, or else. Looks so fun! Tim Sanders will be happy that you are promoting his brand. I hope you can catch some Zzzzs tomorrow night. Can't wait to see Shyla's pics. For I know the plans I have for you; declares the Lord, plans to prosper you and not to harm you, plans to give you a hope and a future. Praise the Lord, O my soul, and forget not all His benefits - Who forgives all your sins and heals all your diseases, who redeems your life from the pit and crowns you with love and compassion, who satisfies your desires with good things so that your youth is renewed like the eagles. =) May the God of peace refresh your spirit! David I just got back to my room in Vegas at WPPI and one of the best decsions I made this week was to attend your class. The great photography aside your workflow and marketing ideas just made the most sense from anything I heard this week. Your approach is so in line with how I think I know it will be invaluable as I get started in this business. You really did an amazing job in your presentation and preparation. Although I could look at your work all day it was impressive that you showed one short slide show putting your ego aside to inform the class. If I had to describe you in one word in would be "sincerety". It's how I like to live my life also. Thanks for the great information and sincere presentation. I think the great success you have had is only the begining. I was looking forward to your seminar since it was listed and I have to say that it was the best of show for me. Your presentation was perfect and the content was top notch. It was worth the trip to Vegas just to see you. Keep up the good work! 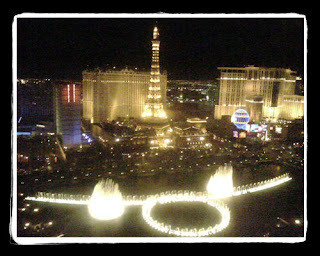 I love the traditional "shoot-a-picture-of-myself-in-the-mirror-with-my-camera-phone shot"
Vegas looks like a good time. Wish I could be learning and having fun with everyone there! 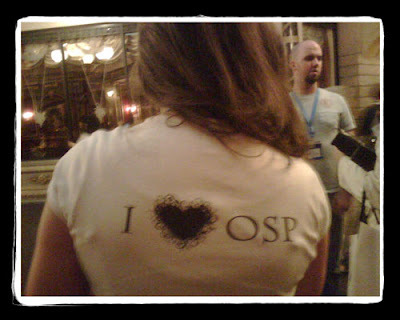 Thanks for the daily WPPI updates on OSP. 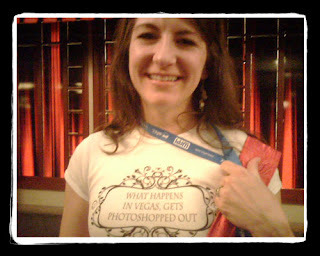 I couldn't be there, but photos and blog give me a snapshot at what's going on!